Teaching is connecting students with content. Teachers have lots of students. Teachers have lot of content to teach. And then consider all the factors that influence teachers! Since teaching is connecting students with content, I consider both students and content when I plan, enact, and reflect on lessons. 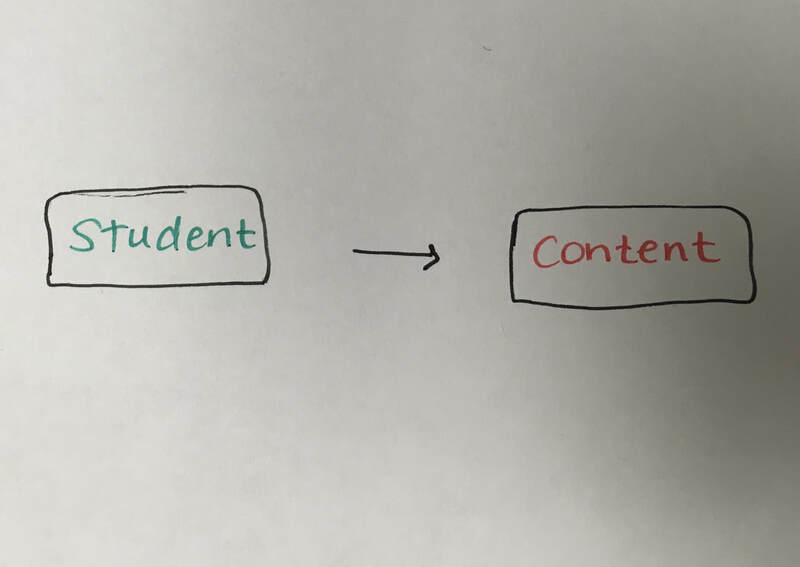 Because students and content are connected, when I consider students, I think about how they will approach content. 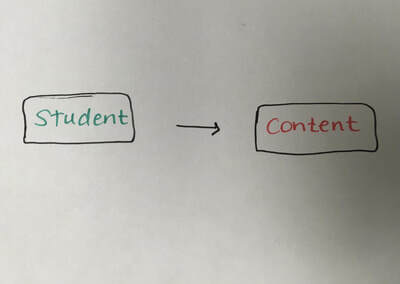 When I think about content, I think about how it will influence students. Knowing my students lays the foundation for my teaching. 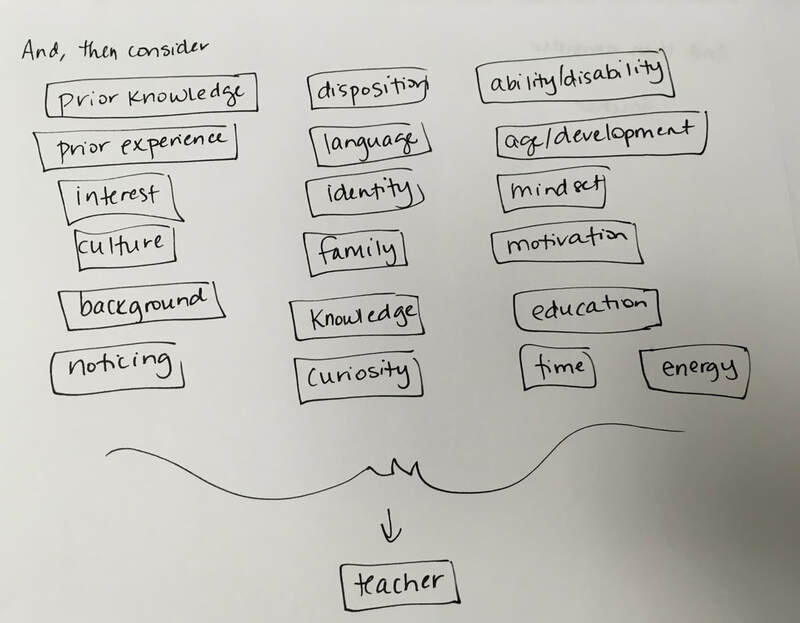 From the first day of class in my face-to-face environments, I try to gain meaningful information about my students: what they need to learn, important aspects of their background, and their learning needs. I revisit this information throughout the semester to stay connected with who my students are and what they need. ​​Throughout my courses, I try to get to know students as individuals. I chat with students before and after class. During small groups discussions in class, I actively visit groups, ask questions, and answer questions they have about me. I have bonded with students over a shared love of a given movie or by being with a student when he shared that he just learned of the suicide of a adolescent mentee of his. I build relationships so students can trust me to help them when they need. "Thank you so much for your kind words and acknowledging my growth as a student. You are an amazing instructor who genuinely cares and never gives up until a student understands the material. You made learning effortless and interactive and that’s the best way for a student to learn — organically. My peers were wonderful and I love how you gave us opportunities to socialize and learn material through communicating with other students." ​My recent content was an introductory Educational Psychology course. 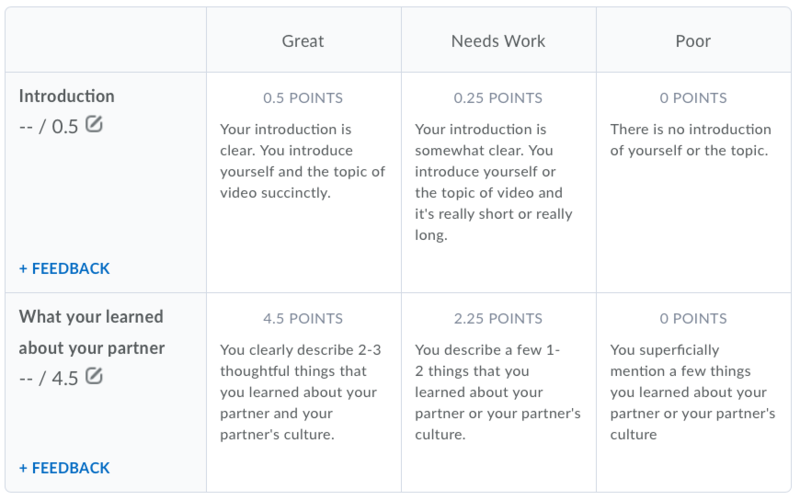 Helping students engage with and understand the broad, survey course is challenging. We explore learning, development, motivation, and issues of culture all in 30 classes. whole class activities - using Google docs, creating class slides, communicating ideas via Padlet, or responding to questions using PollEverywhere.com, and lecture. In a recent lesson about Piaget's operations, I taught in a way that relied on students' own construction of knowledge. I assigned pairs of students to unpack one operation and share with the whole class their findings. We did this while building a model of the operations that we mapped on to Piaget's stages. My students were used to having me provide much structure and support in their learning - clear tasks with clear objectives. For this lesson, I wanted to embrace the notion of constructivism and allow students to focus on the meaning they were making without my direct guidance. Some students were frustrated and did not understand my pedagogical choices. This provided an opportunity to discuss constructivism and the expectations of teaching and learning in schools. I was proud to employ different techniques and be able to support students making sense of both the content and the instructional decisions. While students and content are both important, it is connecting them that is my focus when teaching. This starts with my lesson planning. Planning lessons is one of my favorite aspects of teaching. 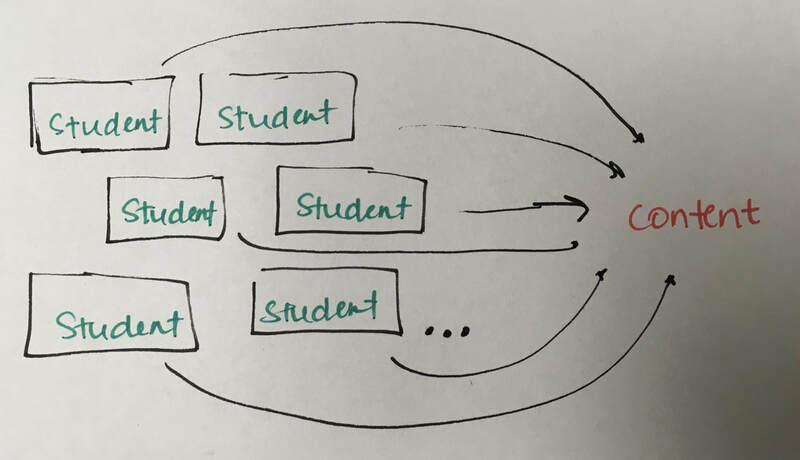 I love the time I have to think about students and content and try to devise effective ways to help the two connect. 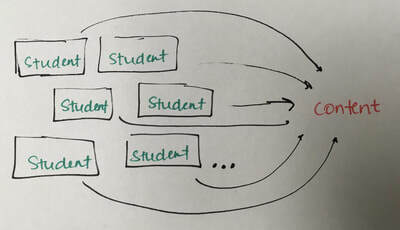 ​When I am planning, my attention focuses on the learning goals and how I am going to help students reach those goals. I employ backward design; I start with what I want students to know and how they will be assessed and then work backward to create and choose activities and ways to engage with the content so the students can reach those goals. It is important to me that I have clear expectations that are measured with transparent criteria. In face-to-face teaching, this manifests in providing and discussing grading rubrics when the assignment is announced, including student input when I can, providing opportunities to revise and resubmit work, and having well-sequenced lessons. These together help lessen extraneous cognitive load, allowing students to increase germane cognitive load. For my online teaching, this manifests as students viewing previous students’ work at the beginning of the semester, providing exemplars (under "Things to Keep in Mind") and having many rounds of formative assessment from peers and instructors before final grades are given. Specifically, I recently taught a lesson about cultural attribution and attribution biases ​that was new to a course I had taught many times. As I was preparing for this class, I kept coming back to the questions of "who are my students? 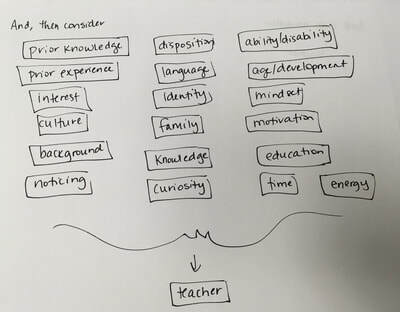 "; “what do I want students to know?”; and “how can I best help get them to understand those ideas?” In practice, answering these questions is a cyclical process and includes considerations of many components - previous lessons, overall course curriculum, best of use technology, and the culture of the class. For this particular lesson, I chose to use several visuals and charts to help students understand the core characteristics of attribution. Then, I used a jigsaw activity to help students engage with the seven attribution biases we studied. I kept in mind places they would likely have trouble (with the attribution biases) and ways I could scaffold (using the jigsaw, meeting with individual groups, providing illustration/cartoons). The planning was not perfect - no planning is - but laid the foundation for me to help connect students and content. ​through a continual process of reflection and improvement. Spring 2017 was an challenging semester for me. I had taken 6 months off to start raising my children. When I came back to teaching, I did what I had always done. I planned my lessons. I taught. I graded student work. I engaged with my students. I thought the semester was fine. When I read my course evaluations in the beginning of the next semester, the scores and comments were the worst I had ever received. The feedback painted a picture of me as a teacher that I neither connected with or liked. This happened 15 years into my teaching profession when I felt like I had many things figured out, but this setback shook me to my core as an educator. I internalized these results. I sought out support and ideas from many sources: mentors, colleagues, and my advisor. I asked for ideas to improve. I invited colleagues in to observe my classes. I changed some elements of my teaching. I focused much more attention on my responses to students and working on creating an environment that was supportive and safe for all students. My feedback from this semester (Fall 2017) was some of the best I had ever received. It was not a fun experience to feel like I had failed, but it was humbling and provided a significant opportunity for growth. It gave me the chance to embrace my growth mindset. It shows that in my role as a teacher I am continually looking to learn. Since that experience, I continue to look at my lessons, communication, and assessments to find ways to make things even better. I have been approved to re-vamp the assessment structure of this course during the Fall 2018 semester. This will allow me to make improvements based on what current educational research is indicating is most efficient for student learning. If you want to hear about this process, please email me and ask!